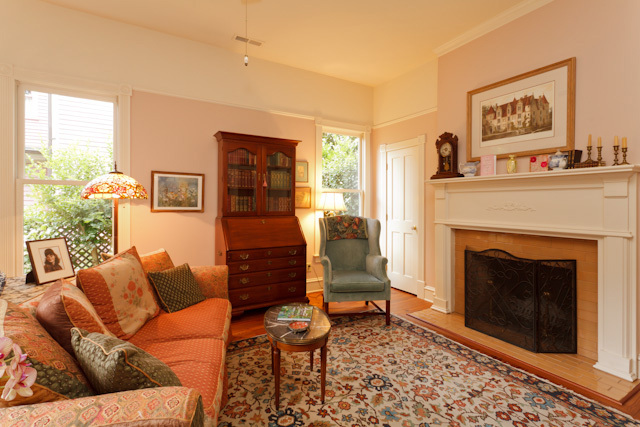 Inspired in 1995 by a nearby Historic Oakwood home, ca. 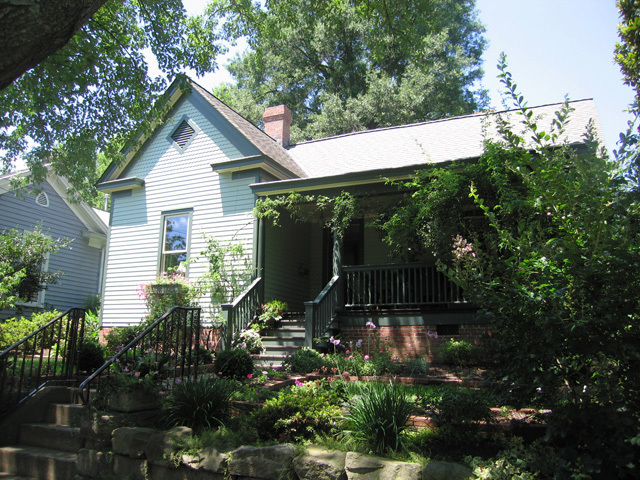 1900, Jim and Sharon Bright built the Rose Cottage on the site of a duplex that was lost to fire in 1973. 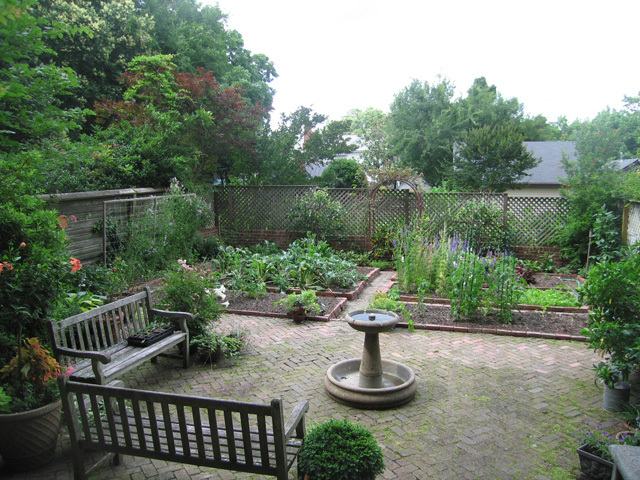 Later they enlarged the yard to its current size of 0.2 acres. 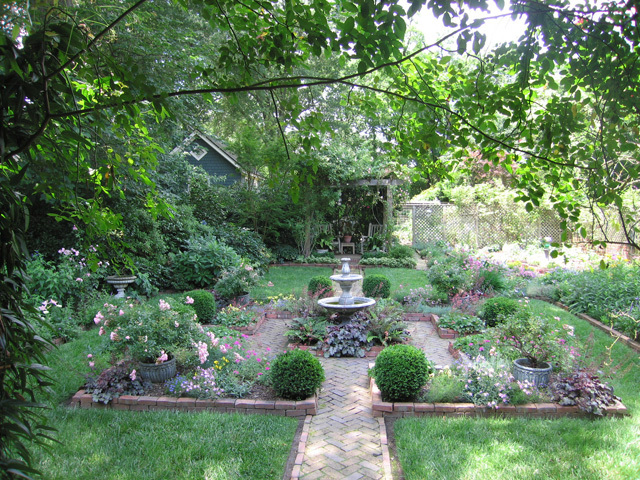 Now featured in many national magazines, the exquisite gardens were once a parking lot from which the Brights removed a 7 inch layer of gravel. 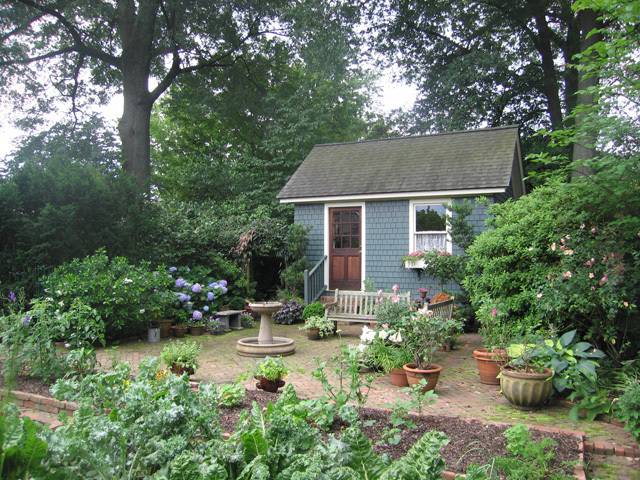 On added land in back they built a hide-away cottage and patio where they relax and grow vegetables. 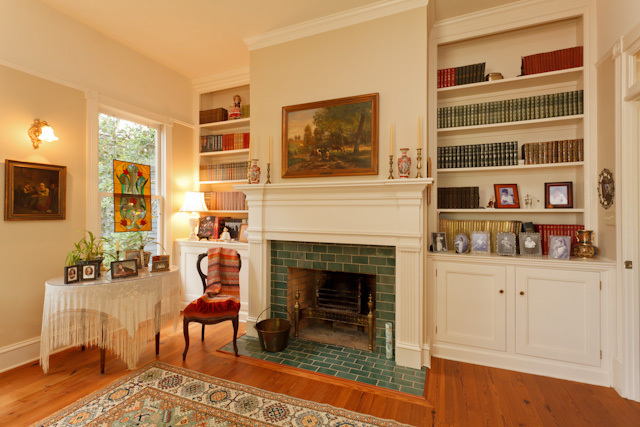 Collaborating with former Oakwood neighbor and architect Janet Wellman, the Brights realized their dream house with its timeless tiled fireplaces, transom windows, high ceilings, spacious front porch, cedar siding. 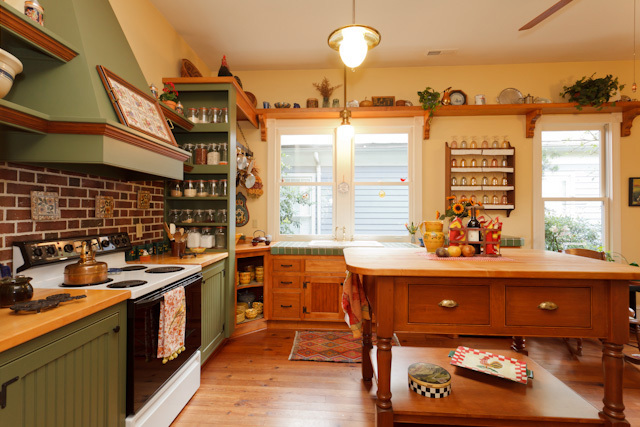 A local craftsman built the cabinets and table, which conveys with the house. 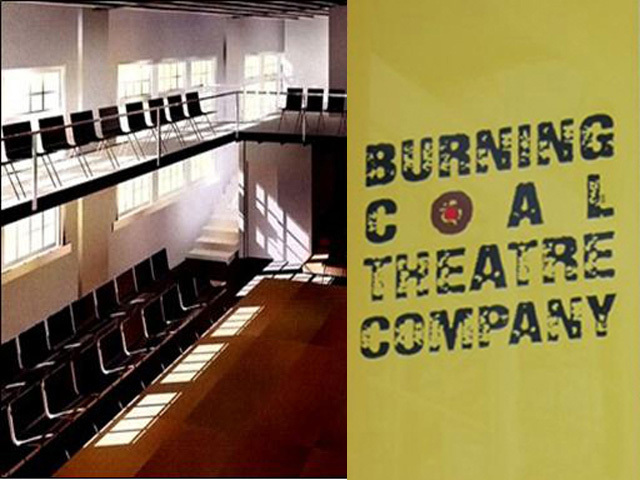 The house and gardens are gathering places for the Bright's 10 grandchildren. 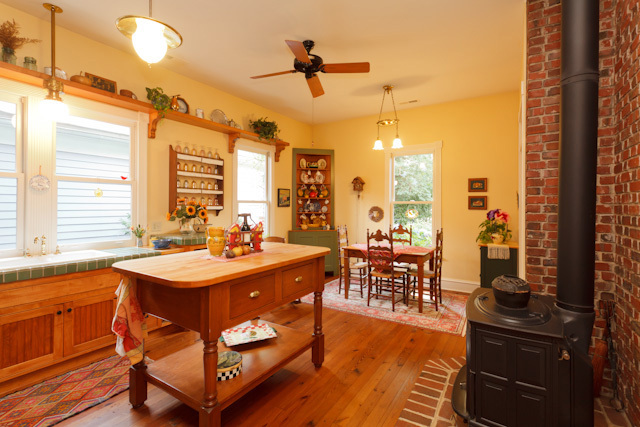 The wood stove warmed, spacious kitchen-dining room is the center piece of the gatherings. The recycled heart pine floors once were part of the old Sears building in Chicago. 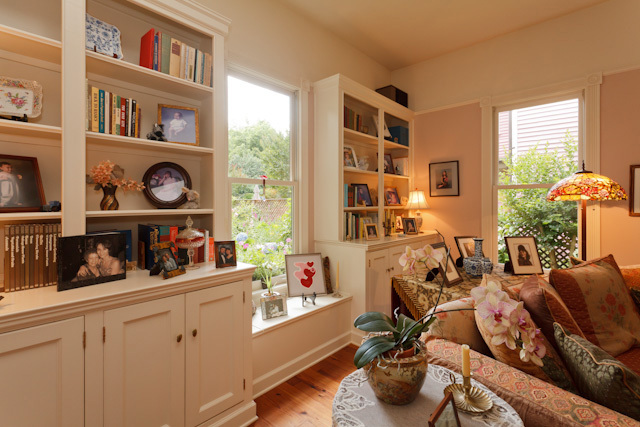 Wanting a not-so-big-house with a versatile floor plan, the Brights built a family room overlooking the gardens that can double as a MASTER BEDROOM with semi-private access to the second full bath. They wanted light … lots of light. They succeeded. 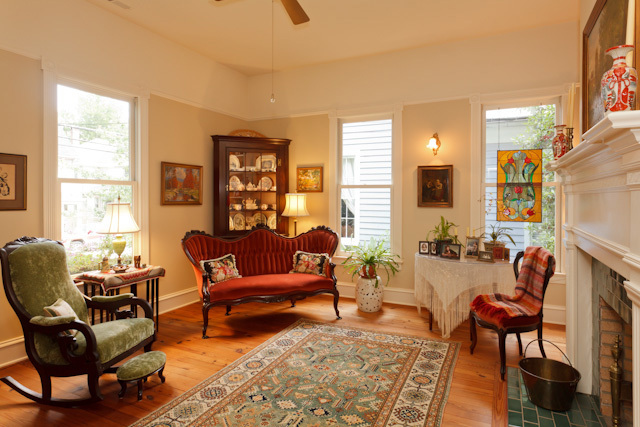 A wide center hall and transom windows were part of their dream realized. 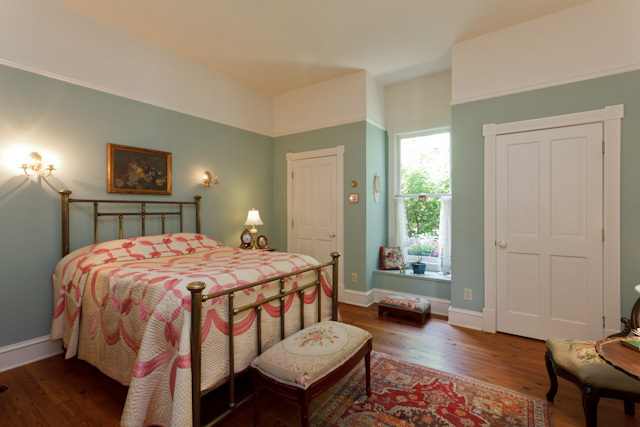 The front bedroom has lots of closet space. 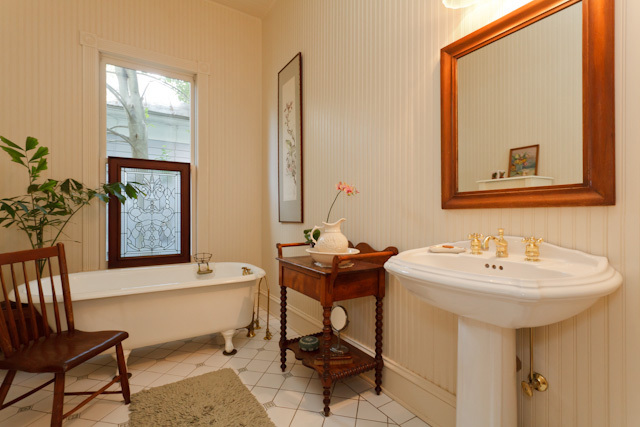 Tile floors, a tip toe tub and tankless hot water add old house character in a new home. 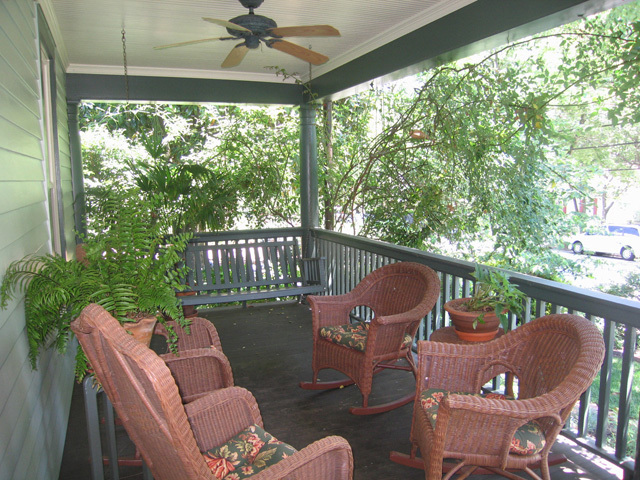 Porches are part of the soul of Historic Oakwood. 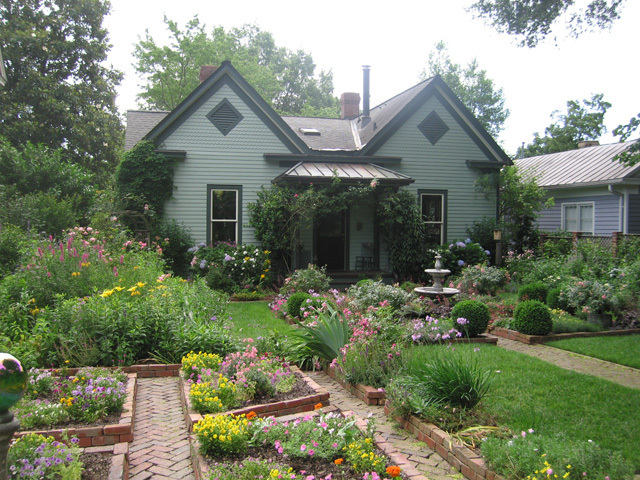 Theirs is ringed with Old Blush climbing roses intermingled with the old Southern evergreen vine Smilex. A four square garden with a recirculating two-tier fountain is the focal point as you enter the garden from the back porch. 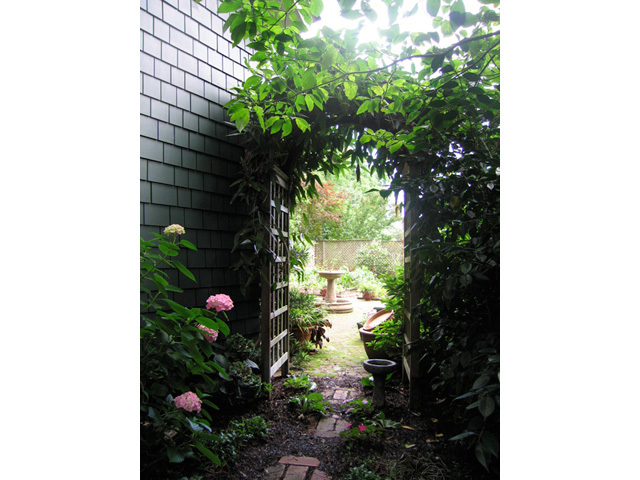 Herringbone brick paths lead to a wisteria and rose covered pergola beyond. This garden is a poster perfect PARTERRE, an ornamental flower garden having beds and paths arranged to form a pattern. 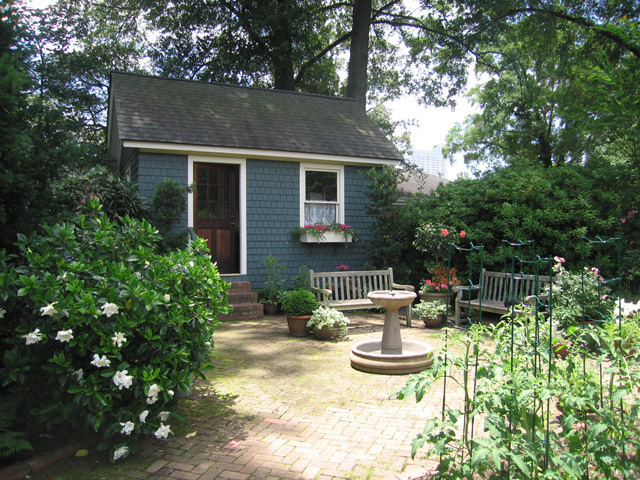 The 15x11 ft cottage overlooks a cutting garden and vegetable beds. 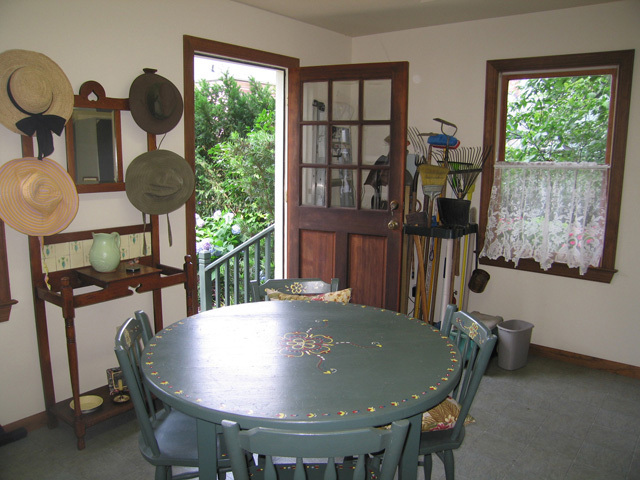 The wired cottage is a hide-away for grand kids and your ageless inner kid. Brick paths lead through vine veiled trellises alongside the main house and the garden cottage. 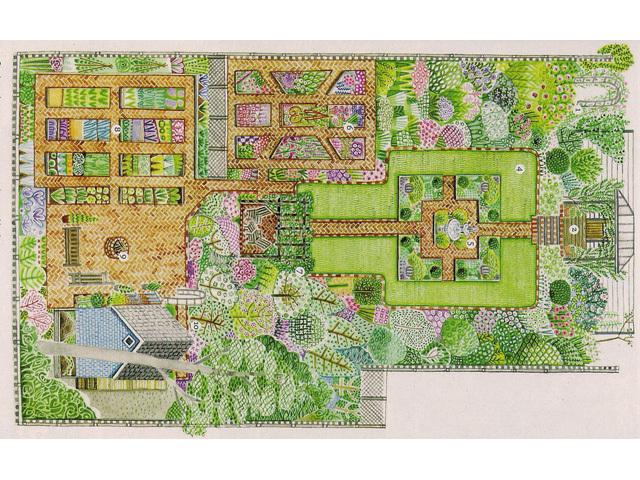 See DOCS for a copy of this garden plan that appeared in the Spring 2012 issue of Country Gardens. Copies of this and other articles are available. 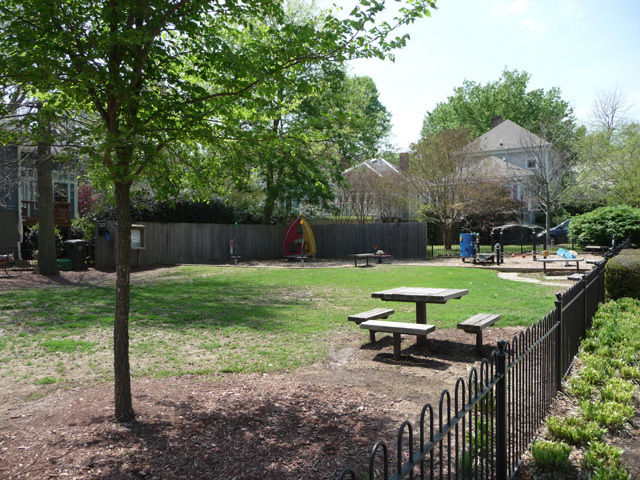 Oakwood is urban village with the Common, a play area for toddlers, monthly pot-luck suppers, spring jazz brunch, 4th of July picnic, December Candlelight Tour and much more. 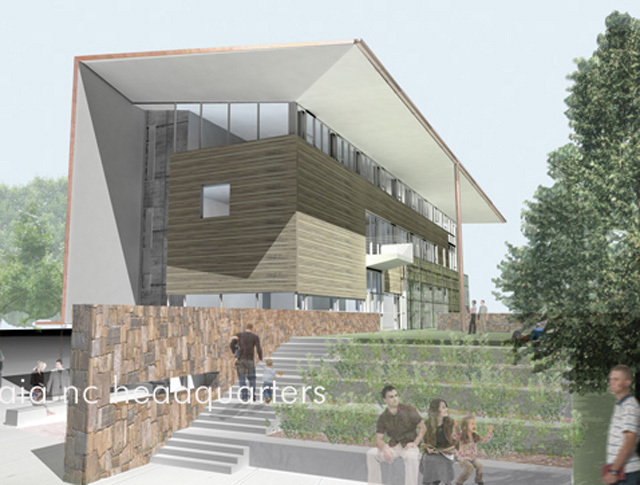 The new North Carolina AIA building. Walk or bike downtown. 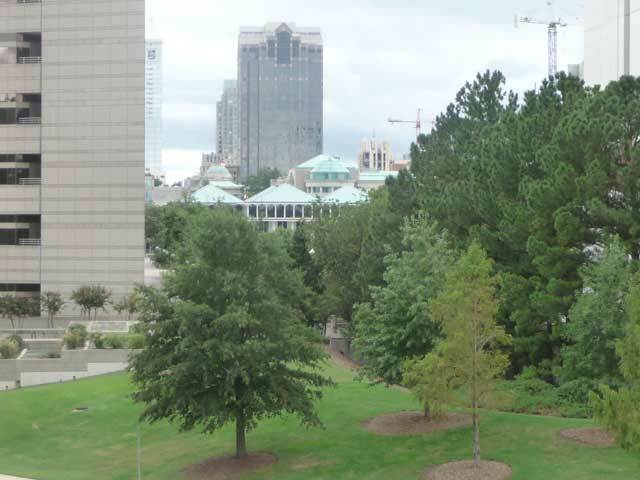 This is the view from the new NC AIA Center for Architecture and Design looking south past the state government offices, legislative building, museums and the old Capitol to the private office and residential towers. 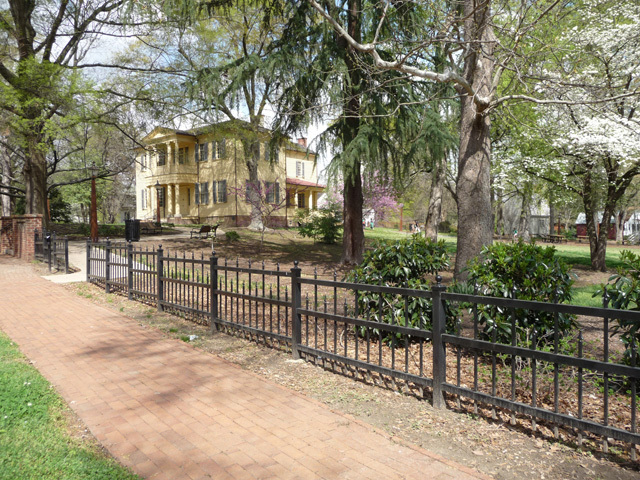 Family friendly Friday night concerts are a neighborhood gathering place on the lawn of the Mordecai Historic House and park. 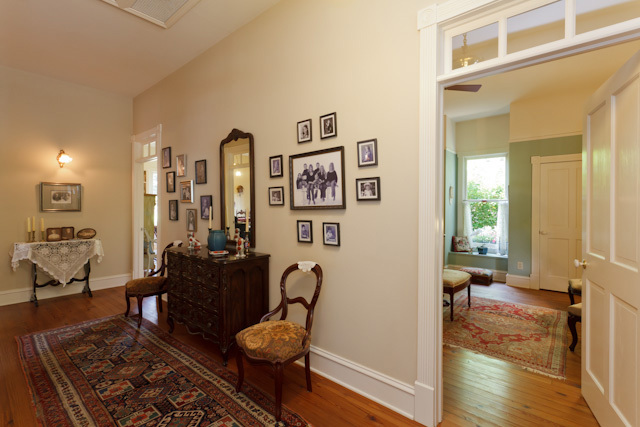 Theaters, restaurants, museums and jobs, public and private, are all seamlessly connected to the Historic Oakwood neighborhood. 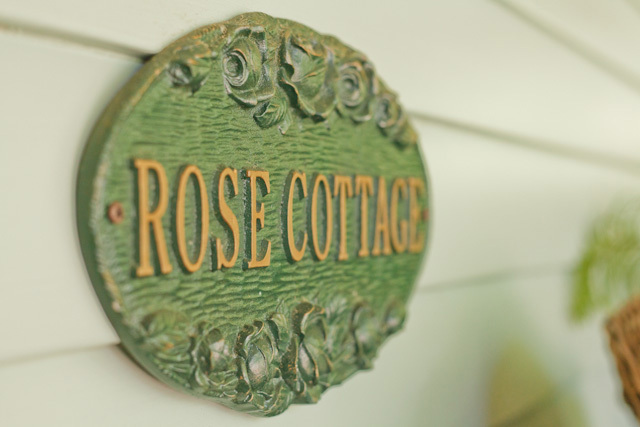 Returning home to Rose Cottage and its gardens is its own reward.